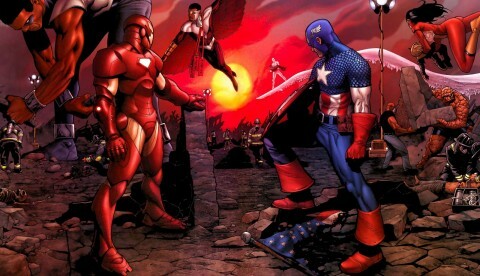 A few weeks before Marvel Studios even scheduled a secret fan event (where they announced their third phase of films), Robert Downey Jr. was rumored to have a major role in the third Captain America film and there were a lot of people clamoring that the said film will be based on Mark Millar and Steve McNiven’s crossover event, Civil War. But a lot of those who have read the comics are quite concerned on how Marvel will execute the storyline with a few major elements from the source material being missing due to contract limitations. Then again, Marvel is capable of throwing some curveballs, making their own version of the story line for the big screen and the non-comic book reading masses and I list down and theorize on the possibilities they will throw at us for Captain America: Civil War. Disclaimer: I know you’ll tell me “but, GP! The movie doesn’t come out in the next 2 years and Avengers Age of Ultron hasn’t even come out yet”. I am aware of that but I find fun in theorizing about the infinite possibilities the earth shattering storyline could give the Marvel Universe. WHAT IS CIVIL WAR ABOUT? Before we could go anywhere, let’s talk about what Civil War is all about for those who haven’t read the comics or at least need some refreshing about the said storyline. Before the Civil War, the Marvel Universe had its fair share of Super-Power related destruction that costs a lot of fatalities such as Hulk’s violent rampage (where he was shoot to space afterwards), an attack on Manhattan during Fury’s Secret War that did bring a lot of attention to the government, but what really drew the line was when the super-villain Nitro used his explosive powers to not only kill the New Warriors but along the way destroy more than several city blocks resulting to thousands of casualties on what supposed to be another ratings boost for the New Warrior’s reality TV show. That particular event was the nail in the coffin and that’s when the government started to coin the idea of a Super Human Registration act (also a rising number of people supporting the idea); an act that divided the entire Marvel Universe. This act will be used to register Superhumans of America to reveal their identity, provide them proper training as prevention of past catastrophes mentioned before, and have them officially work for the government than being labeled as vigilantes. Tony Stark backed up this idea, while Captain America didn’t as both led a squadron of super heroes to back them up in this war. 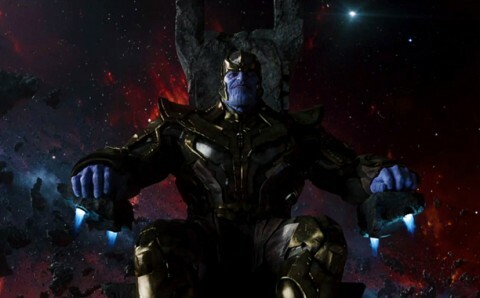 With so much loss (we’ll get to that later), they’ll have to keep their s**t together and get so many heroes to assemble just to take him down (and possibly his new alien armada), we’re talking the forces of Wakanda, the Kree (hopefully Captain Marvel sets this up), we’re talking the Nova Corps, we’re talking the Guardians of the Galaxy, we’re talking the Inhumans, and hopefully the Asgardians will join the fight too. IF you think about it, that is a lot of characters to mash to one movie, no wonder they’re splitting this into two parts. Just imagine by the end of the first part, all of these heroes rising up against Thanos’ forces with Captain America (Bucky?) picking up his shield and shouting “ASSEMBLE” and then it fades to black. Captain America getting shot under the orders of the Red Skull when he was apprehended was the biggest cliffhanger (so big that it made it to national news) the comic book series left us. But keeping in mind that this movie (Cap 3) will only be a lead-up to Civil War and probably won’t have the climax we’ve seen in the latter issues of the source material. We may have Captain America killed off after all and have Bucky take the mantle (until Cap gets resurrected) in the first part of Avengers Infinity War. I’m just assuming that just by comparing the contract lengths of Chris Evans and Sebastian Stan, Chris gets a six picture deal; That’s 3 Captain America solo films and 3 Avengers films (do keep in mind that the third film is split into two parts) while Sebastian Stan gets nine. Like I said these are just assumed figures. Back in 2008, Nick Fury once told Iron Man that he is “part of a bigger universe”, meaning there are other talented people like him. Following up to the aftermath of Age of Ultron, I have a theory that Quicksilver and Scarlet Witch the Maximoff twins being introduced to the Marvel Cinematic Universe could mean something for the future of the MCU with more and more super humans being introduced in this larger than life world of superheroes. Maybe this does show that we’re gonna see more heroes outside of the Avengers and the super human community would be a fully realized one after Age of Ultron. A lot of people, even I felt like the adaptation of a Civil War story line felt too soon. 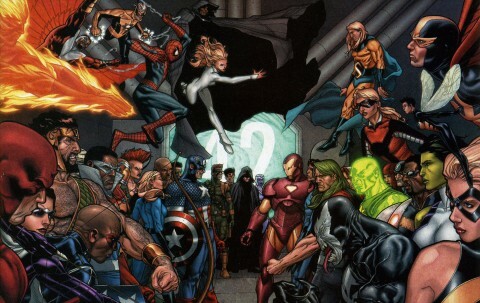 The story line is after all a universal crossover with this big division of all the superheroes living in that world, and with Marvel Studios a lot of popular characters who are integral to the comic book version are missing. Characters like Spider-Man, Namor, The Fantastic Four, She-Hulk, Hank Pym, and Ms. Marvel either due to Marvel not having the rights for these characters or that they are yet to be introduced to the MCU. 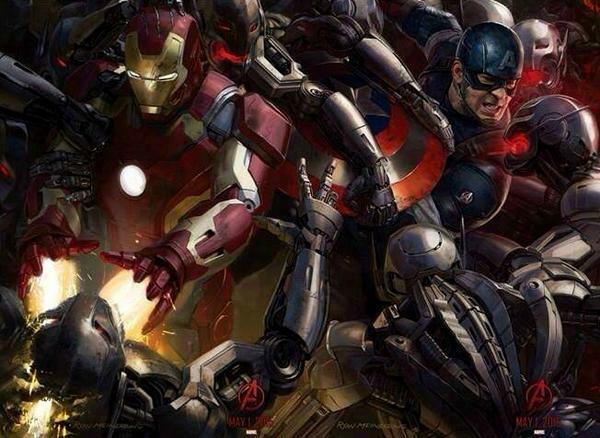 Without those heroes and villains does that mean we are not getting these popular characters stand side by side with Captain America or Iron Man? Are we getting discount versions of these popular characters instead? That could be the case. Then again, they should put those 0-8-4 people from Agents of S.H.I.E.L.D. to good use. 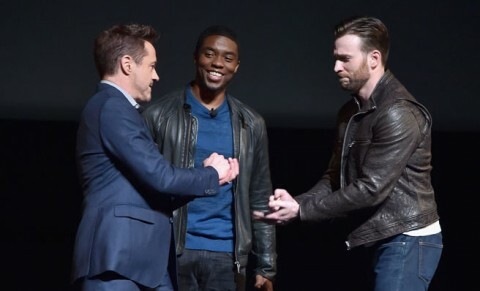 When the title card “Captain America: Civil War” flashed on the screen and showing a clip of Steve and Tony arguing (we’ll get to that later), Robert Downey Jr. and Chris Evans came out to not only rub elbows with the fans and say “yeah, THIS IS HAPPENING!” they also welcomed a new family member of the Marvel Cinematic Universe, Chadwick Boseman (42, Get On Up) to star in a Black Panther film with Captain America: Civil War to introduce his character. Now, Wakanda hasn’t been a fully developed world as of now in the Marvel Universe (but then again, isn’t that the point of having a secret futuristic civilization in Africa?). But with Andy Serkis being said to be Ulysses Klaw in Avengers: Age of Ultron and the fact that they did film one scene in Africa it does seem likely that Wakanda could play some sort of role in the film (Ultron is made of Adamantium in the comics, but since Adamantium belongs to Fox, it looks like Ultron is getting another rare metal elsewhere *wink wink nudge nudge*). 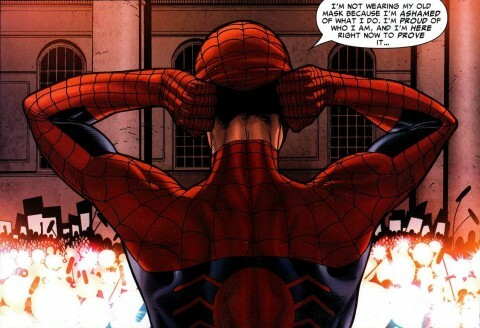 By the line “introduce his character” I got the idea that we won’t be having Spider-Man In the MCU as soon as this movie comes out (although Kevin Feige was dodging that question during the event, which is very suspicious), making Black Panther be the key character Spider-Man was. It made sense to me about that and I actually thought that this was a solid change. Having Black Panther, a man of royalty and considered to be one of the greatest minds in the Marvel Universe is quite beneficial and I can see why Tony and Steve would fight over him. Does Tony need the brain and the riches for the benefit of his side, or does Cap only need him for the brains and the brawn for benefit of his side? Judging by the trailer, it does look like Ultron will make a bigger mess than what Loki and his Chitauri army brought upon in 2012’s Avengers. And the worst part was it was the hero who brought it to the world and that hero was Tony Stark. I feel like AoU will end with Tony taking responsibility for what happened with Ultron, but not just that, the team will really be torn now. In the Fan Event for the Civil War announcement, they showed a clip of Steve and Tony having a heated argument about their stand on “fighting the good fight”. But before they argued, Tony mentioned about Thor going off somewhere because of what “the Maximoff kid showed him”. It does seem like it’s just the two of them now who could see each other while the rest are elsewhere. Thor will be in Asgard dealing with Loki’s schemes (I wonder if Tony would consider making a Life Model Decoy of Thor for his side, Androids are becoming a thing these days in the MCU), Black Widow is going to be supporting Captain America possibly with Hawkeye as well (Jeremy Renner did say he might be in this film at one point), but Hulk? Hulk is hard to judge about his after math. Shooting him to space is too “out there” for now (Ultron could possibly shoot him into space all by himself since he does have the technology to do so), Feige did tease that his presence will be felt throughout the third phase (he said the same thing about Black too) it could mean something (if the space thing is true, you could literally think that he could appear in Guardians of the Galaxy 2). Again, another solid change that I do understand why they have to do this; fans have pointed out before when it was first announced that it is pointless to register and reveal identities when the public is very much aware of that already (Case in point: The ending of the first Iron Man film). With that said, it does make sense that working and being monitored by the government be the focus of the storyline. Like what Feige said there is no SHIELD anymore and the Avengers Initiative didn’t work the way Nick Fury or Stark thought it would. Really, the last thing they have left is really the government. It’s about time the Captain America films realizes its true identity when it comes to adapting a genre to a superhero film, and I would like to see the Russo brothers tackle the same approach again for this film. Adapting the biggest crossover event for a mere Captain America solo film is quite the challenge to bring to the big screen. These theories are just something that was floating in my head since they first announced this and I do find fun out of just speculating it gets me more excited for the future of the Marvel Universe. 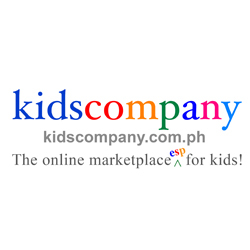 If you do have anything to add, feel free to do so, the more the merrier after all. Your guess could be better than mine. LEAKED Avengers Infinity Wars Funko Pops sheds more clues! An Extended Look at Marvel’s AVENGERS: AGE OF ULTRON in LEGO! Microsoft is Team Iron Man! Which team are you on? FUNKO POP! reveals CIVIL WAR Set! The Best of 2017 in Movies, Animation & TV! Can’t get enough of the HULKBUSTER? Here’s another one for you!